In a world of competing demands and scarcity of societal resources, information on effectiveness only is insufficient to make decisions on whether the outcomes produced by parenting interventions are value-for-money. There is, thus, a need to investigate the value-for-money credentials of parenting interventions for improving child health, so that resources can be optimally allocated among competing demands, and the best decisions can be made to improve societal welfare. 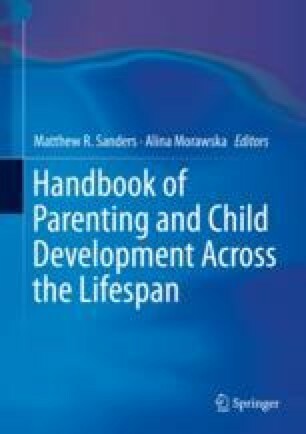 This chapter first introduces readers to the economic way of thinking and forms of economic evaluation, and later, provides a narrative literature review of the economic evidence of parenting interventions targeting diverse child health issues, with a focus on full economic evaluations. This review hopes to provide readers with an overview of the research completed to date. The literature review found 22 studies in the peer-reviewed literature examining both outcomes and costs of two or more interventions, where at least one was a parenting intervention with the aim of improving child health. Most evaluations targeted child mental health, and specifically externalizing behavior problems, and most have used cost-effectiveness designs. The existing evidence demonstrates that parenting interventions are likely to be a cost-effective use of resources, particularly with respect to preventing child mental health issues. Therefore, investment in such interventions is certainly worth serious consideration by decision-makers. Future research should address the methodological limitations of the studies included in this review, including limited costing perspectives, challenges with outcome measurement, and short time horizons. It is important to highlight the need to capture the full potential health and economic impacts of child health interventions, including the full spectrum of costs and quality-of-life impacts on both children and their caregivers.